The new year is on its way, and January has a decent run of releases to look ahead to. Expect to see games based around monsters, RPG icons, famous fighters, and more competing for your cash at the start of 2018. Street Fighter V may not have been the most well-received entry in the long-running franchise, but it still has its strong points. 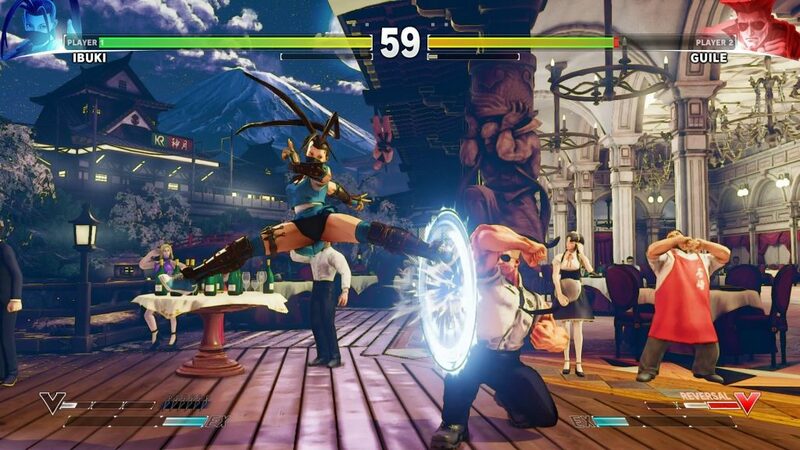 Whether you missed it first time or are something of a completist, Street Fighter V:Arcade Edition is an expanded version well worth your time. This boasts two fresh game modes sure to delight those who felt the original release lacked content: Arcade Mode and Extra Battle Mode. On top of these, you can expect a new interface, a new V-Trigger for each character, and codes for every DLC character across both seasons one and two. You can download this for free as an update if you invested in the original version, otherwise you’ll be able to pick it up as a standalone title from January 16th. This game from Tokyo RPG Factory is a spiritual successor to their previous release, I Am Setsuna. That 2016 release was modelled on classic JRPG titles from the 90s, and this continues the style. 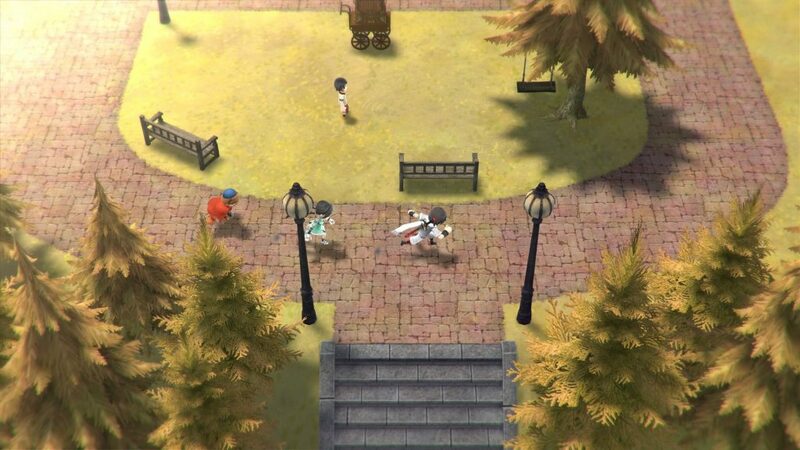 Lost Sphear sees you step into the shoes (or boots, or what have you) of Kanata, a young man on a quest with two friends. Kanata wants to stop the mysterious White Fog laying waste to the adventurers’ hometown, meeting other characters and getting into scraps (featuring a refined take on the Active Time Battle we all know from classic role-players) along the way. Lost Sphear was released in Japan in October 2017, but will finally be available on January 23rd 2018, across the Nintendo Switch, PS4, and Microsoft Windows. Dragon Ball FighterZ is set for release on January 26th, across the PS4, Xbox One, and Microsoft Windows. This is based on the hit franchise and uses a 2.5D stye, incorporating elements from the Marvel vs. Capcom series of brawlers, with players picking teams of three characters. You control just one at a time, and jump from to the other two with the tap of a button. They can jump into the fight to assist you at any time, while an in-game feature lets you request a ‘wish’ to boost your condition (such as increased strength, more health etc.). You can choose form a pretty big roster of characters, including Android 16, Beerus, Captain Ginyu, Frieza, Gohan, Goku (of course), Goku Black, Hit, Kid Buu, Piccolo, Vegeta, and more. The story mode will take place across three different chapters, with each exploring the action from a specific character. 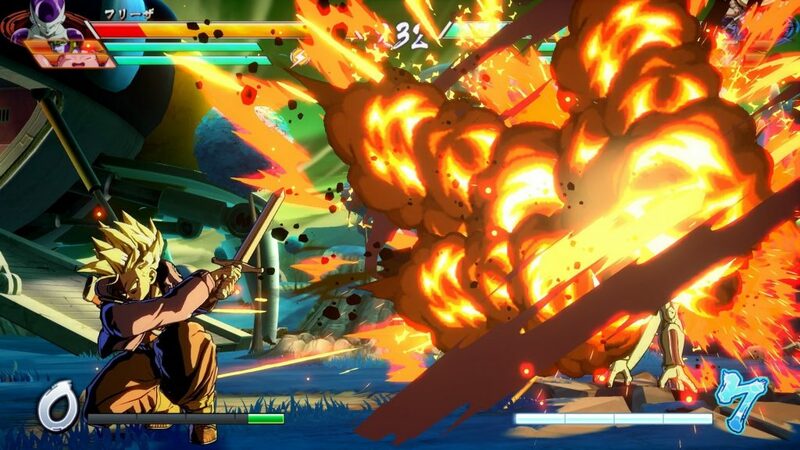 Early reactions to Dragon Ball FighterZ have been positive, and it looks like this could be a must-play for fans. The team-based structure is a winner with Marvel vs. Capcom, so it should work brilliantly here too! Monster Hunter: World will be the fifth main instalment in the long-running series when it lands on January 26th 2018, for the PS4 and Xbox One. This will incorporate bigger maps than previous games, as well as seamless changes when crossing from one zone to the next. Up to four players can dive in together at the same time, and you can play along with others from all over the world for the first time. Fans of the Monster Hunter games are sure to be thrilled that the loading screens between zones have been jettisoned, though it does mean you can’t escape from overwhelming enemies simply by transitioning. A dynamic weather system has been included, as has a day-night cycle, potentially changing the way in which certain monsters behave. 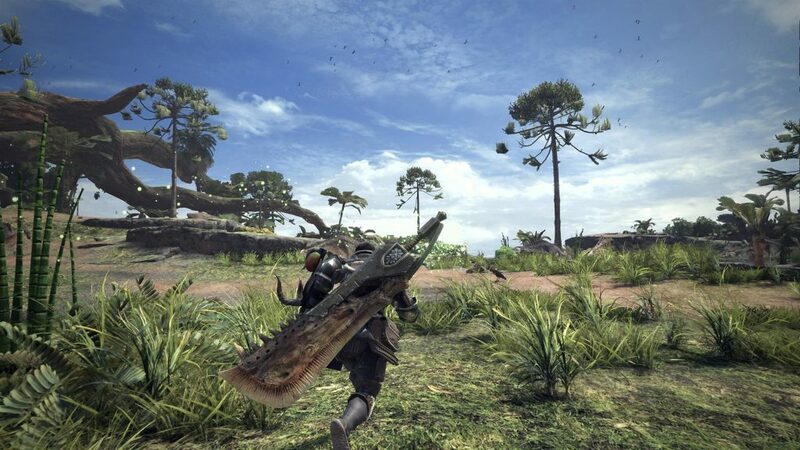 This looks to have the most realistic, immersive world of any Monster Hunter game, with monsters reacting to each other and destructible features. We’re promised a lengthy, deep story mode lasting up to as many as 50 hours, and further quests will be made available as DLC – for free! The game looks stunning, with huge environments and some impressive monsters. Could this be the best one yet? There’s not long to wait before we find out! The previous two Dissidia games were both exclusive to the PSP, and made great use of the console, with terrific visuals and fast-paced brawling. Dissidia Final Fantasy NT will bring the action to the PS4 on January 30th 2018, ported from the arcade version (released in Japan more than two years ago). 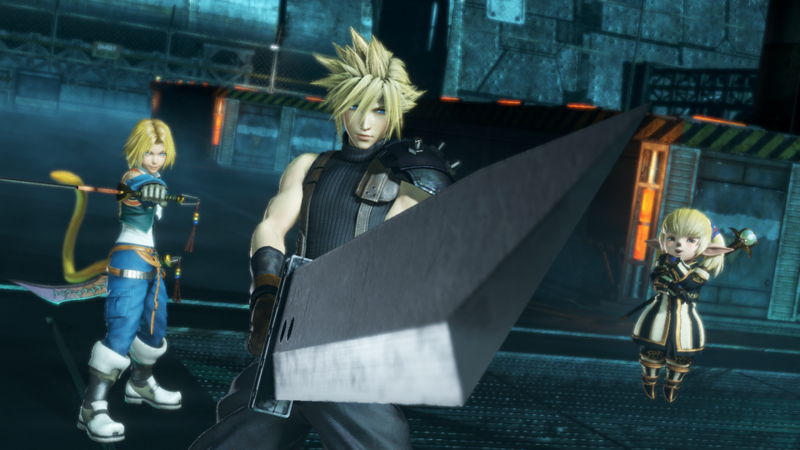 Dissidia Final Fantasy NT revolves around three-on-three fighting, allowing you to switch from one to the other at any time (the AI handles your two partners). The action takes place years after the other two, but includes many familiar faces from across the Final Fantasy series. Cloud Strife, Sephiroth, Squal Leonhart, Ultimecia, Warrior of Light, Exdeath, Vaan, Ramza Beoulve, and several others are all available. The game looks absolutely amazing, with dynamic sprites, stunning environments, and fast-paced action. While the three-on-three structure is different, the gameplay looks familiar, despite being rebuilt almost completely. Whether you played the original two Dissidia games or not, this new release looks to be remarkable. Which of these big January releases are you most excited for, and what other games set to hit the market early in 2018 grab your interest? Let us know!